Running a restaurant isn’t an easy task. You will have to be very vigilant to ensure that nothing goes out of your sight and mind. It starts from billing to keeping a stock and inventory count, to maintaining a strong CRM to ensuring that your restaurant is pilferage free. Hence, the best way to take care of all your restaurant operations is to take refuge to Point of Sale (POS) software. A restaurant POS system helps you in your complete restaurant management process. 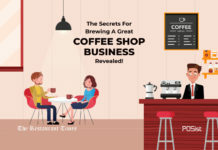 Nonetheless, you must know that there are multiple POS software available in the market and choosing one amongst them can be a brainstorming affair. Worry not, we are here to help. Below we have listed the various points that you must consider before choosing a POS, that will make your restaurant operations seamless. 1. Does the Restaurant POS System Provide Comprehensive Billing Operations? It is a no-brainer that a restaurant POS system should provide billing operations. However, there are a number of features that go beyond the basic billing and KOT generation. The software must enable quick and easy table billing process which should ensure the availability of the complete menu on the tablet at the table for both the customer if they are placing the orders themselves or for the servers who are taking the orders. The view of the full menu will help the servers to upsell the various items whereas the customers will be able to see on the tablet as which are the most demanding items on the menu. Your POS must also be properly equipped to generate split billing when demanded by the customers. Since takeaways and deliveries are an in thing today, your restaurant must also be venturing into it.Hence, your restaurant POS must be integrated with various online ordering channels to enable takeaways and deliveries from your restaurant. 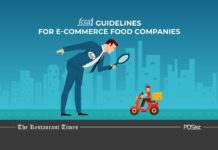 However, don’t you think that if all the orders from all the online ordering channels came directly at one place, it would help you in managing the orders in a much better way? This is exactly what you must look for in a POS system! The POS must also indicate you the availability of the delivery boys so that you can delegate them to work in no time. 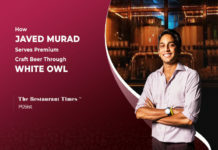 Customers must be provided with the provision of tracking orders and must also have the provision of online payment or cash on delivery for the orders. The delivery time taken by all the delivery staffs must also be clearly visible for you to judge and rate them on their performance. Read how you can optimise your delivery orders here. 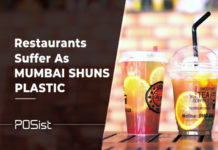 Now, when most people prefer to order online and relish their food in the comforts of their home if your restaurant does not have this provision you will be losing a lot of your potential customers. Hence while selecting a POS you must make sure that the POS is integrated with multiple online ordering channels. And if it can capture all the customer data and update them with the CRM database, then you can hardly complain. You can then use this data and run loyalty programs to create better customer relationships. Your POS must also be able to save the customer details like the order history, favourite orders, and address, this will ease out the process of placing orders in future. While you as a restaurant owner must feel that deletion of bills can increase the possibilities of bill duplications by the cashier or the manager, it is not always so. On various occasions, there might are genuine billing problems and without the bill deleting options you will have to send an email to the POS office and the bill will then be deleted from there. This might involve a lot of times which may be a source of inconvenience for you as well as for the customers. 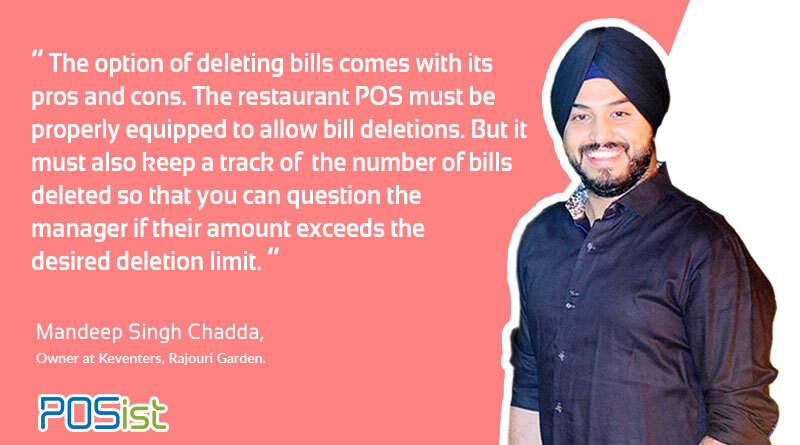 Thus, your POS should ideally be equipped with user Role & Permissions that would allow only specific staff members to delete or reprint bills. The POS should also be able to generate reports that classify the deleted or reprinted bills on the basis of the time after which they were edited to identify any misappropriations. 2. Does the Restaurant POS System Give You a Control Over the Stock & Inventory? As a restaurant owner, you can very easily lose a lot, if you do not keep a strong check on the stock and inventory section. Hence, there are a few very essential things that you must look for in your POS. If you do not find these features on your POS, kindly do not go for it. To know about the various mistakes in inventory management that your restaurant might commit read this article. Your POS must help you in keeping a tight control over your stock by reporting you the stock in and stock out of every outlet every day. Tally the physically available stock and the ideal stock automatically that will reduce the scope of any discrepancy when it comes to inventory. You must ensure that your POS must have a Central Kitchen Module. This is especially important when you have multiple outlets or planning to scale and have just one base kitchen. This module will ensure that you have a tight control over the circulation of food from the base kitchen to the various outlets. The POS must be built in such a way that you have reports about the stock delivered and consumed at each outlet from one place. Restaurants must never out of stock. Image a customer ordering a menu and your server is forced to say that, that menu item is not available. Do you think such occasions leave a good impression on your customers? Certainly, not! Hence, get a POS that will allow you to set reorder level, and hence the POS will alert you whenever each item reaches a particular level. Maintaining a consistency in the recipe within your restaurant every day is as important as maintaining a consistency in recipe across outlets. Here you should never go wrong. Hence, if your POS has a recipe management feature, which will have a detailed recipe of all the items on the menu, then your chefs can hardly go wrong. This will also ensure that you can control wastage of raw materials in the kitchen. 3. Does it Provide Integrated Marketing & CRM? 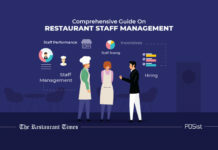 Knowing that customers can make or break your restaurant, you must give full attention to managing your customers well. Your restaurant POS must help you to manage your entire customer database right from one single place. You should be able to segment customer data as per their ordering history and profile. POS must enable to launch specific outlet offers or run global loyalty campaigns that will operate across multiple outlets. Once you have all the customer details on your restaurant POS, you will be able to send bulk SMSs and emails informing your customers about specific offers. You can even send birthday and anniversary greetings to your special and loyal customers. In an addition to this, cloud-based, central loyalty programs should allow easy addition and redemption of points across all outlets. 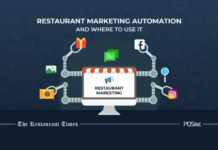 A smart restaurant POS will give you the data to create highly targeted SMS and email campaigns based on the customer ordering history and behavior that are extremely high on returns. Loyalty Programs have been one of the most tried and tested ways of attracting and retaining customers. However, simply running generic Loyalty Programs does not generate much results. This problem is solved by a smart restaurant POS system that uses CRM to analyse customer data create custom Loyalty Programs. 4. Is the Restaurant POS System Scalable? Every restaurant owner has the dream to scale across the city, the state and finally the country. Hence, while looking for a restaurant POS make sure that it is compatible with your dreams of scaling. It must have a Central Kitchen Module so that you can control all your kitchen operations right from one place. 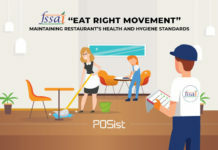 If you are having one base kitchen, your restaurant POS must enable you to keep a check on the circulation of food from the base kitchen to the various outlets. In addition to this, if you have plans of franchising or starting a chain, your POS must help you to keep a track over all the operations of all the outlets, including the stocks, the sales per day and even comparison of sales across outlets, from one place right on your mobile. 5. 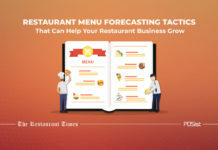 Does the Restaurant POS System Provide In-depth Reporting & Analytics? Being a restaurant owner you might not be able to be physically present at your restaurant all the time. Your POS must understand this, and hence it must adapt according to the situation. Your POS must be able to provide you with real-time reporting of all the sales at any time of the day, the footfall in your restaurant and a comparison of sales across all the outlets. You, as a restaurant owner must be able to customize reports as per your convenience and even view graphical reports as well. And if you can check all these graphical reports right on your mobile don’t you think, that it will be very helpful for you? Here comes the importance of your restaurant POS to be able to provide you with the mobile reporting feature. These will ensure POS reduces your dependency on the Managers, this will also ensure that you leave no scope for pilferages or discrepancy at your restaurants. Apart from the above-mentioned functional features, the restaurant POS system must all include the following features. Cloud-Based: Your best POS software must be one that is cloud-based so that all your data are stored on the cloud and you will not have to worry about your data being lost, this will ensure data security. Works Both Online And Offline: Make sure that your restaurant POS operates both online and offline. You can have days when your internet might be down, does that mean that your restaurant operations should come to a stop? Of course not, right? Strong Customer Support: In addition to this, the POS must work on all hardware, the POS must provide all the clock round support. Whenever you face any technical trouble, your POS office must always be available to come to your rescue. 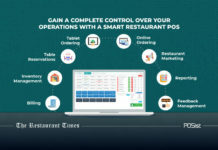 Easy To Use: You as a restaurant owner must understand that it is the cashier or the waitstaff who will be the end user of your restaurant POS. Generally, these are those people who might not be tech-savvy, hence before finalising a restaurant POS make sure that it is easy to use. 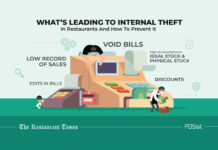 Anti-Theft: It is an estimated reality that the restaurant sector is a major victim of theft and pilferage. 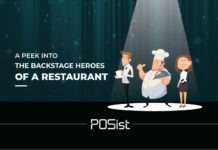 Hence, before selecting a restaurant POS to make sure that it has the ability to send you real-time reports of all the activities that are happening in your absence at the restaurant. This will help you to check the reports and understand if there is any misappropriation going behind you. Here we have put forward the main things that you must look for before you agree to use any particular POS systems. However, it must be said that different types of restaurant formats demand specific features in the restaurant POS system. 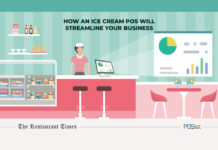 Learn how you can choose restaurant POS according to a particular restaurant format here.